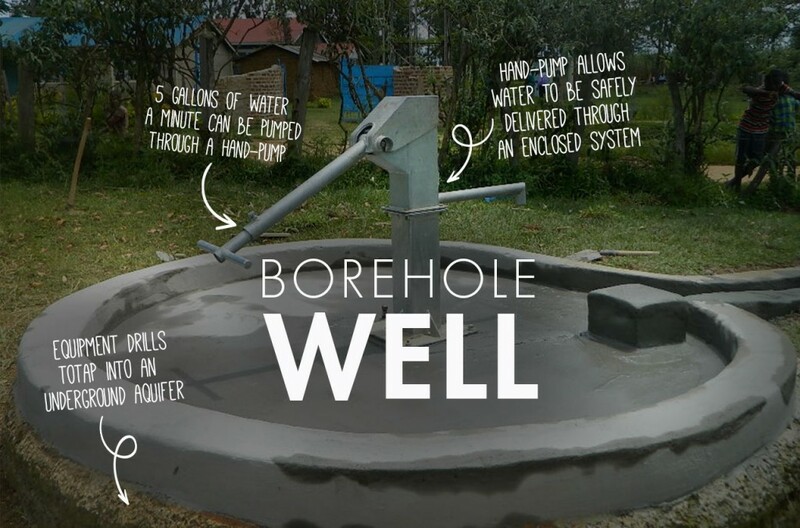 This village is comprised of 250 people living in mud-thatched, concrete and tiled houses. 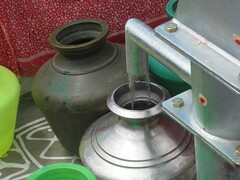 Most are agricultural laborers with no drinking facility in the area. The inhabitants of this village were drawing water from a nearby, polluted lake. 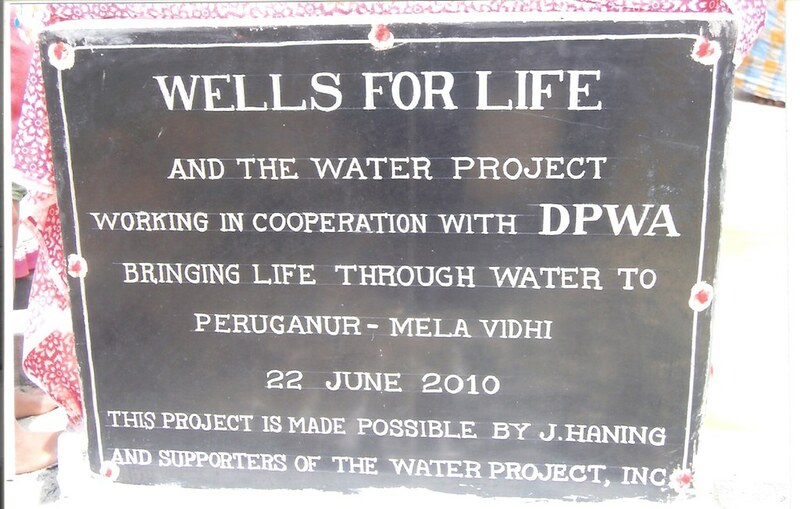 Now, thanks to the generosity of J. Haning and other donors of The Water Project, these same people are benefiting from safe drinking water. 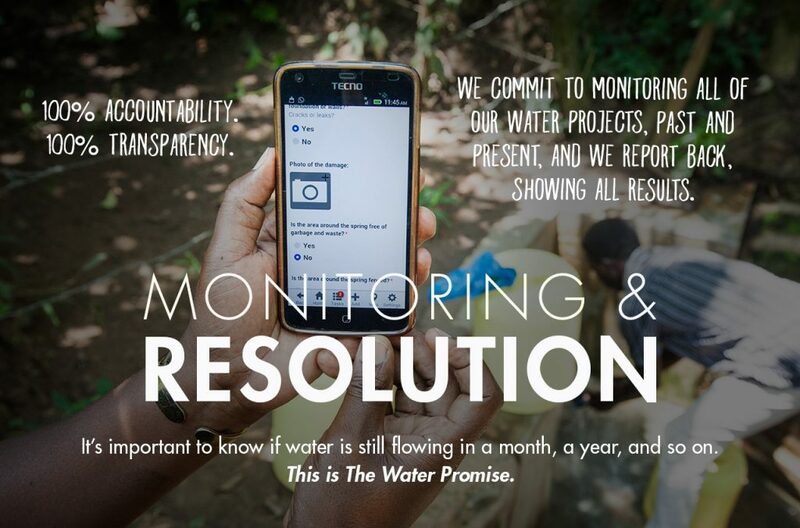 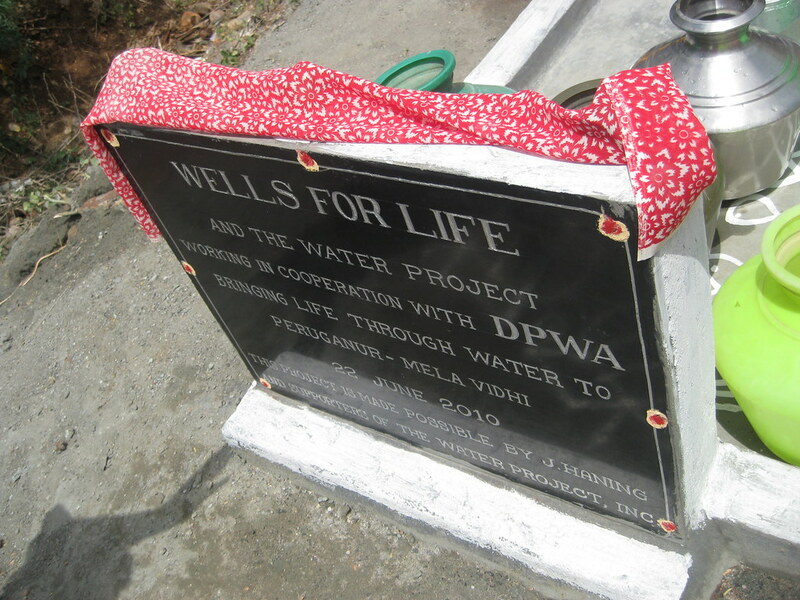 The last well dedication had a minor installation problem that was quickly resolved. 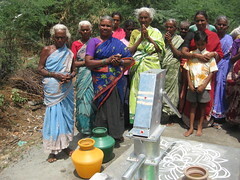 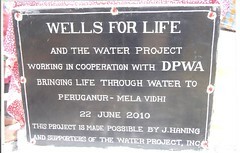 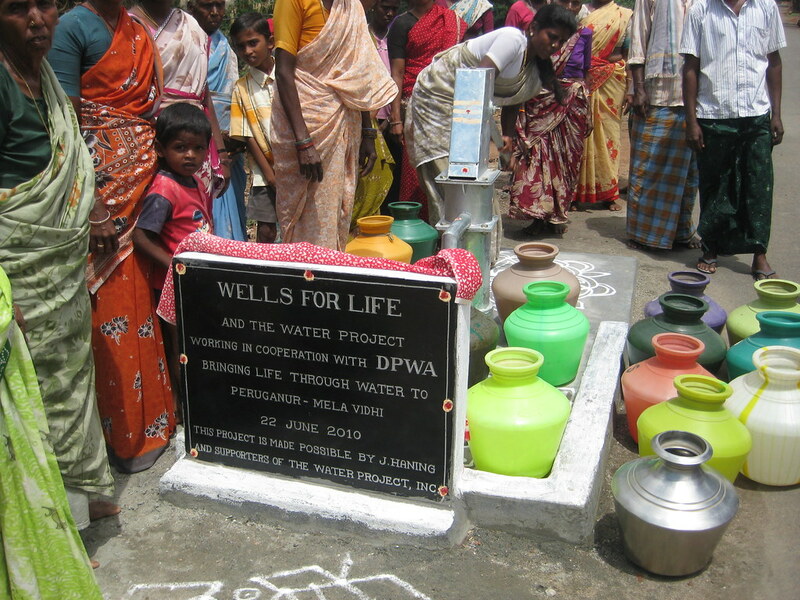 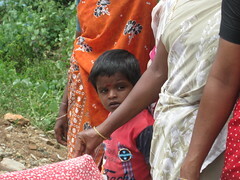 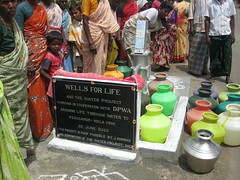 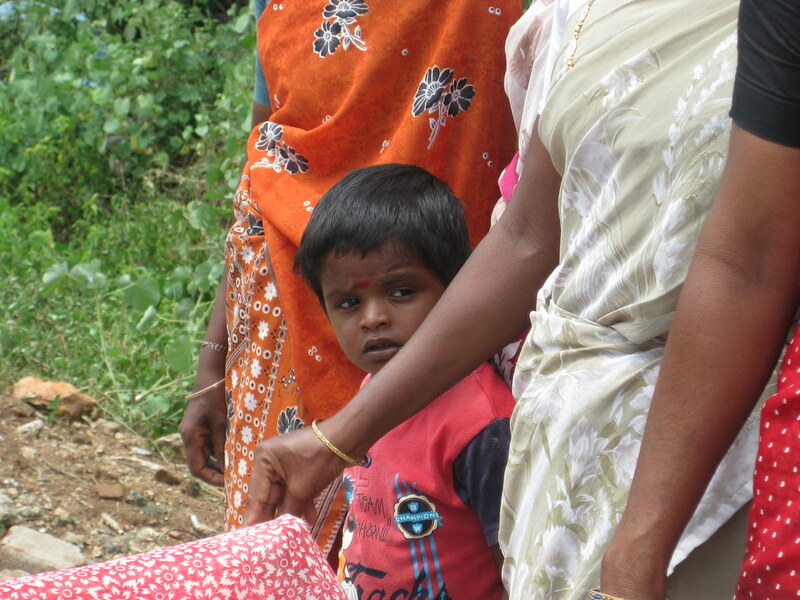 However, after experiencing the first mishap dedicating over 200 wells, this village’s bore well was pumped with eager anticipation, praising God when water flowed freely. 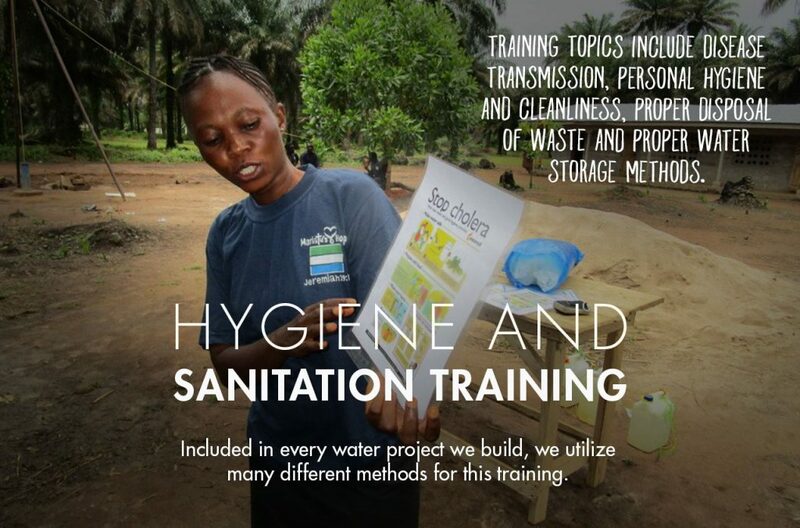 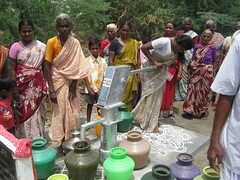 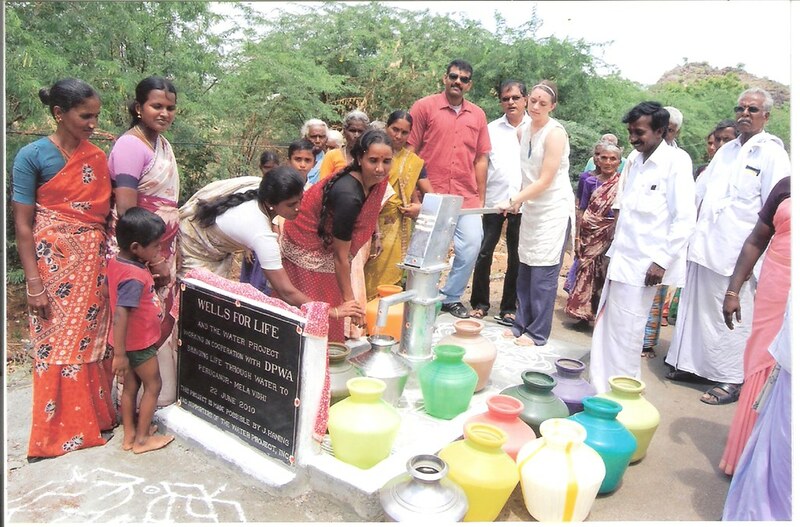 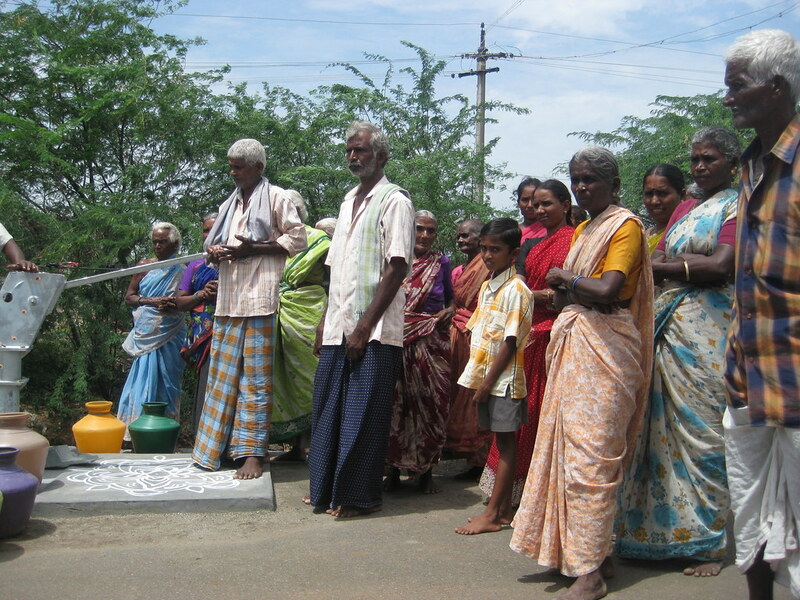 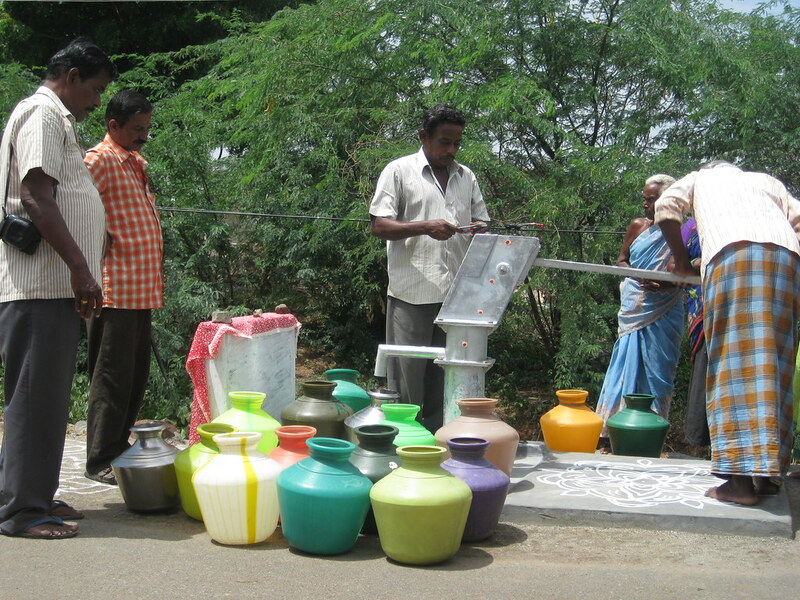 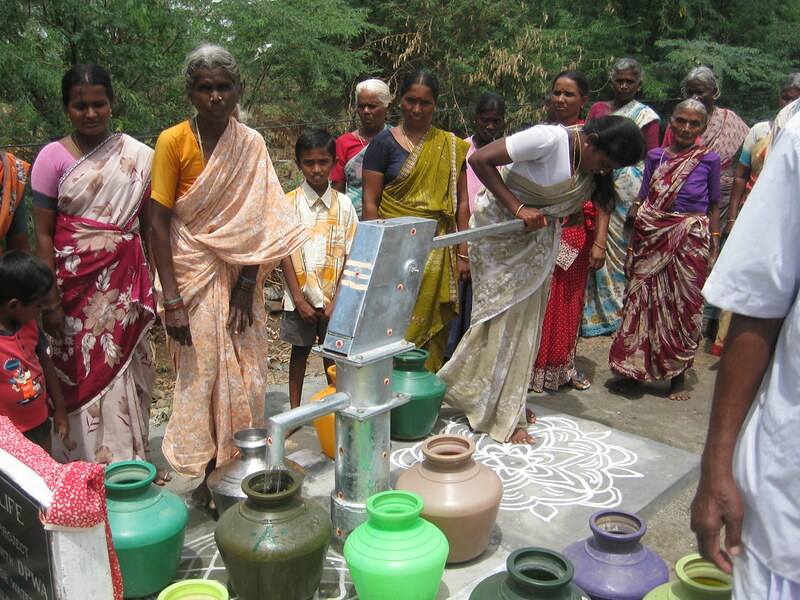 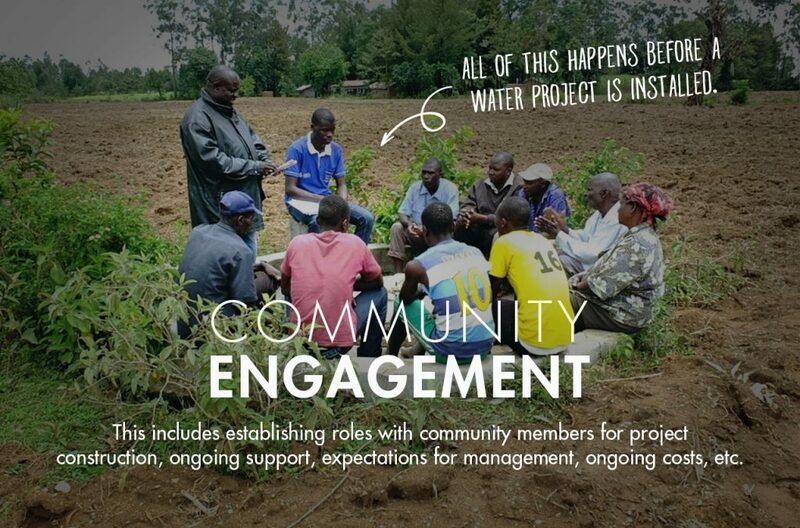 The people were excited to begin using their new source of clean water.